Nursery has finished for the summer. This heralds a welcome reprieve from early starts, a break from routine, and ‘quality time’ with my only child. But with it comes having to face facts: my house is in no fit condition to have play dates in, and so the holidays are going to be time for replacing picnics with plastering, days out with decorating, and fun with new furniture. I’ve been looking forward to the summer holidays more than ever this year as my 3 year old is getting ever closer to big school. I like the break from that early morning chaos of getting a little person out of the front door with their shoes on the correct feet and preferably without too many tears (from either of us). A lot of the friends he’s made are moving on to big school this September but we have another full year of pre-school before starting primary, so the next 12 months will hopefully be chance to make some little friends that might see him through to Reception. It seems like only five minutes ago he was learning to walk and talk, and he wasn’t interested in ‘friends’. Now he’s asking for play dates – something which I’ve always managed to avoid because I didn’t do the whole baby group circuit and join a gang of mummy friends. So, sweating with panic at the idea of potentially having strangers in my house, I’ve realised I need to do the house up, sharpish. Don’t get me wrong, I’m not someone who seeks the approval of strangers (or friends for that matter!) but I can count on one hand the amount of people who visit my home – and even fewer the amount of people who I’m comfortable with witnessing me in my ‘natural habitat’ as David Attenborough would say. I’ve got some big ground floor projects to concentrate on this summer: an expensive plastering job to save up for, new flooring, and finally trying to get some semblance of furniture that complements each other. I inherited some great original teak mid century furniture that I want to drag into the garden and renovate in the good weather. I also want to move away from IKEA stuff which can look a bit cheap and studenty (I remember the days when my entire flat was birch veneer errthang and it was great at the time but can really date), in favour of mixing and matching my old G-Plan with some more ‘grown up’ homestyle oak furniture and – dare I say it – try and scale down the sheer volume of toys all over the house or at least find a proper home for everything. 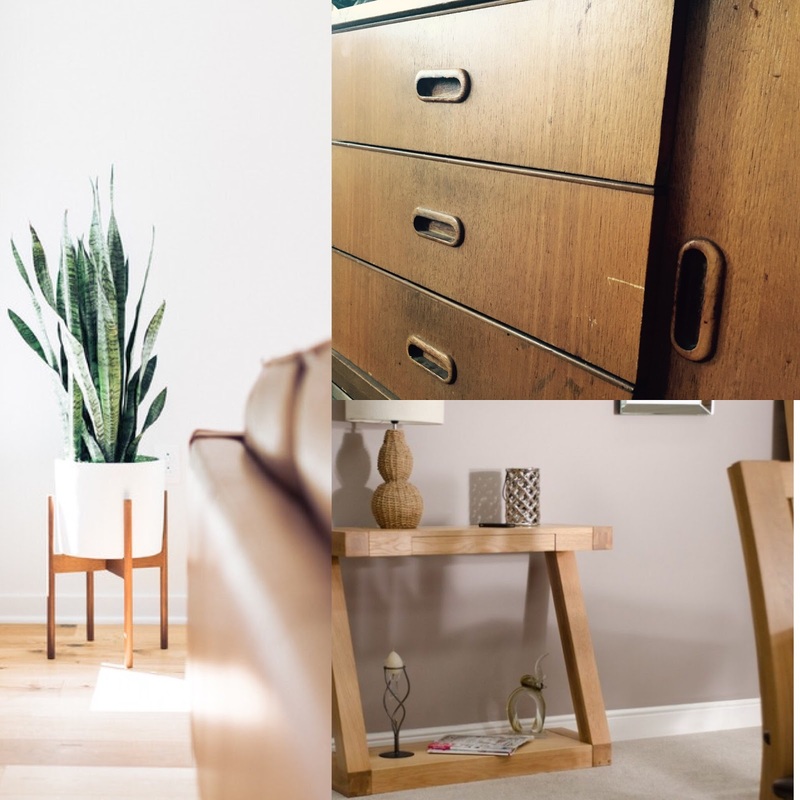 So far a lot of people hours have been dedicated to sourcing a slimline sideboard and maybe a console table, and I haven’t even begun to think about the walls yet – framed prints, picture shelves, artwork – there’s potentially days worth of googling there. And plants – I’ve got to get plants! It probably sounds a massive overreaction to the prospect of a simple play date but as someone who’s lived with anxiety for an number of years now, this isn’t an unusual feeling for me. And if there’s one thing past experience has taught me, it’s that I can almost guarantee that once it’s all done nobody will want to come anyway!